This is the annual update of a series of drawdown demonstrations that are now some 9.5 years in. To put this in perspective we are now within a whisker of one third of the way through the period that the 4% rule is based upon and this simulation assumes retirement was taken on the 31 December 2006. If this date sounds convenient then you’re right. The date was deliberately chosen as it is the year prior to the commencement of the global financial crisis and so hopefully represents a modern worst case. Someday it may even go down in history as one of the time periods which saw a poor sequence of returns however of course that will only become clear when we are firmly looking in the rear view mirror many years hence. Last year, after 8.5 years of retirement, between 10% and 28% of investment wealth had been lost in real terms. A year on and some portfolios have recovered while some worsened yet further. The 75% FTSE 100 / 25% UK Gilts portfolio has been the worst performer, now down 29%, with the 25% FTSE 100 / 75% UK Index Linked Gilts having recovered slightly, now down 5%. If I was one of those worst performing portfolios and looking at a 30 year retirement I’d be starting to look at ways to scale back spending or maybe even build a small side income about now. If I was a 40 year retiree, which is more my situation, then I’d be starting to panic about now. Of course it might all come good but I wouldn’t be sitting around hoping for the best. Our 3% drawdown retirees, or £3,000 withdrawn per annum, which are loosely following Pfau’s simulation with 50% equity / 50% gilts portfolio’s are down between 2% and 10%. Even for a 40 year retirement that’s not looking to bad to me. Looking over the 6 portfolios the best case portfolio is now up in real terms by 8% while the worst is down by 17%. This is an improvement on last year which were at best wiping their face while at worst were in the red wealth wise by 18%. This is a new withdrawal rate for this year. I’ve put it in as it most closely represents the situation I have settled on. I’m planning around a 2.5% withdrawal rate and a 40 year retirement. My FIRE portfolio is also now set. Against this demonstration asset allocation wise it would sit almost midway between the 50% FTSE 100 / 50% UK Index Linked Gilts and the 75% FTSE 100 / 25% UK Index Linked Gilts. If these were my only asset classes and if I had have pulled the FIRE’ing pin back at the end of 2006 then in real terms my wealth would be down about 3% right now. Ideally I’d like my wealth to not deplete in real terms, it’s one of the reasons I’m going to try and just live off dividends, but a 3% depletion at this point would hardly be causing me to lose sleep. This should be a very conservative drawdown rate which means it requires a lot of wealth to support. For example if you desire £20,000 of drawdown per annum then you’re going to need a cool £1,000,000. At this point that is also how it seems to be playing out with our retiree probably having worked too long before retiring. The worst portfolio is down 5% with the best up 21% in real terms. On the positive side even if a Global Financial Crisis style event were to occur not long after I FIRE next year it looks my portfolio might just be able to weather such a storm. So, as you demonstrate, the more cautious the w/draw rate, the bigger the pot required. How about a scenario - final pot of £750K and annual spend of £25K. Place 3x annual spend in deposit a/c so £75K - this acts as a buffer - nominal interest of say 1% p.a £750. We cannot know what the year on year actual returns will be on the bulk of the invested pot but would hope for ~5% real return on a 50% equity portfolio. In the good years, the cash buffer is increased and depleted during years when returns are negative. Over the longer period, there will be far more good years. Review drawdown requirement every 5 years based on accumulated balance and actual investment returns. My personal sipp returns over the past 4 yrs have been 9% p.a - mainly good years so expecting reversion to ~7% which would translate to 5% after inflation. The above is roughly my plan for the coming years but of course shorter timeframe than your expected 40 yrs. I suspect a real return in excess of 3.5% should be comfortable but the buffer acts in the same way as dividend reserves for investment trusts and helps to smooth out the whole process. As I think you know I am looking to hold 3x annual spend in cash as you describe as part of my live off the dividends plan. A little way to go to have the cash for our new home and then it's head down to build those cash savings. I expect most of my remaining earnings outside of my pension plus divi's will go to cash in the run in to FIRE. I will be interested to see how your strategy plays out. Maybe a good topic for some posts on your blog as it plays out as most of the post FIRE blogs that share finances are still earning income from 'side hustles' and so you can't get a true picture? ~5% real from a 50% portfolio sounds bullish. Since 2007 I've managed 3.9% real and that includes the GFC and the subsequent recovery. It uses the FTSE A/S index for equities and the UK Govt Fixed Bonds to provide total return figures. The 50:50 returns since 2007 are 5.36% p.a but over the longer period of 31 years since 1985 the average return is 9.38%. Of course, these are not adjusted for inflation and fund/platform costs so actual real returns will be lower but I think the figure of 3.5% would make a realistic working assumption. I will put some thought together for a future article on drawdown income - as you say, it is an interesting subject with lots of angles to consider. Thanks for that Vanguard link John. I didn't even know that existed. As you say the 50:50 return 31 Dec 2006 to 31 Dec 2015 (so 6 months less than my study above) was 5.36%. Over that period inflation (RPI) was however 3.14%. So total return is only 2.2% which is well below your 3.5% assumption Of course it's not the CAGR that is the only problem to consider for someone in draw down. It's the sequence that those returns come in also. If I up the stocks allocation the total nominal return then falls from that 5.36%. Plus as you say this doesn't include any costs. I'm therefore not as bullish as yourself on that 3.3% withdrawal rate based on a 3.5% real investment return + whatever sequence of returns that comes in. That's not a criticism. It's just that we have different risk tolerances and quite different investment horizons. There are of course still people out there blindly talking about the 4% rule which makes us both look pretty conservative under that spotlight. Since you are going to live in Malta, not the UK, there's no need to tie yourself to the ILGs you've used in your illustrations. Why not use TIPS instead? They pay more. How much should you expect to invest in Euro-denominated debt, or Euro equities? Tho' I can see a prob with buying Bunds for someone who wants income. And CHF bonds wouldn't help either. If Bonds are paying nowt or less, maybe a punt on gold or silver wouldn't be daft. What's hopefully come across as I have developed my strategy is that I am still positioning myself as a UK investor but with sufficient wealth that I can handle a 'worst case' EUR:GBP exchange rate ad infinitum. This means I'm still holding plenty of UK Equities and Debt. About the only move I did make is increase my International Equities nominal allocation from 15% to 20% although Europe is only 40% of that. The reason for this is that I just know if our Med dream will turn out to be a folly and if it does I want a way back. The plan is if we get a few years into Med life and it really does become home then over time I would transition to a European investor. Your figures and charts( and links ) are all very helpful - and you point out clearly that expenses need to be deducted from the calculated yields /sums . You have already corrected for RPI so that purchasing power of " old " pounds is much the same as " new " £'s - thank you for that. This makes looking back a lot easier - but what about looking forward ? I have 2 questions - and they are related . Are you planning to take any tax free cash from your defined contribution pension pot at the point of drawdown ? - or will you be deferring the available 25% tax free cash to be taken as part of your monthly withdrawals- thus reducing the tax payable on them ? Also - what about taxation generally ( let's assume that you will be staying in the UK so that the majority of your followers can benefit from your comments ). Many approaching retirement will be looking forward to a State Pension to supplement income from their DC pot - so some will be trying to avoid paying 20% tax - and others looking to avoid 40% tax. You may not feel that this an appropriate question to ask ! Would value your views here also stringvest. I'm not currently planning on taking a tax free lump sum (TFLS) as the Med countries don't recognise it meaning it would just be taxed as any other pension payment but that's my problem not a UK punters. If I was staying in the UK I would get it out of the pension as soon as I could to remove it from the risk of government tinkering. I would use it to pay down any remaining mortgage I might have and after that I'd be getting the leftovers into an ISA asap. ISA allowances are now very generous with this years being £15,240 per person so a couple could squirrel away £30,480. Next year the allowance jumps to £20,000 so all of a sudden a couple can shelter £40,000 a year meaning it wouldn't take to many years to get the TFLS out of HMRC's clutches. As for taxation generally. The tax free personal allowance is currently £11,000. On top of that there is a £5,000 tax free dividend allowance and a £1,000 tax free interest allowance. So with some careful planning a couple could 'earn' £34,000 tax free. Next let's get some 'earnings' from what could have been sheltered in an ISA. In my short investing period I've sheltered £150,000 so let a couple conservatively shelter £300,000. Let's say they take out 2.5% per annum for another £7,500. Then every year they can continue to shelter anything outside ISA/pension wrappers into the ISA. All of a sudden with some planning and bit of thought our couple have £34,000+£7,500=£41,500 tax free plus a paid for home and free healthcare into their dotage. I'd say if you 'earn' more than that while not having to pay rent/healthcare you shouldn't really grumble at paying a bit of tax. I've written in the past that the UK is a tax haven for retirees and the above reinforces that IMHO. As £150k of shares at 3.5% dividend is covered under the £5k dividend allowance, you could withdraw an initial TFLS to top up to that, and thereafter withdraw spending+£20k as a combination of TFLS and taxable pension until its all gone. If you are likely to get an inheritance, you don't want to get your TFLS too close to that. My modelling is based on 5k of civil service pension at 60 and 7k of state pension at 67, so beyond 67 I'll be paying some tax anyway, so before then I might as well withdraw from pensions up to the higher rate tax threshold and pump my ISA. My SIPP runs out at 75 that way and its ISA + 2 DB pensions from then on. I don't want to labour the point but your worst case Euro/GBP is only 1.12 in a relatively new currency. Have modelled the drawdown from just before the high inflation of the 1970's? Just in case the current central bank policy creates what they really want? In £'s the research from Pfau (linked to above) shows that I would have made it through the 1970's with my 2.5% WR. 3.05% (for 30 years ex expenses) was the safe withdrawal rate (SWR) for a 50% UK equities : 50% UK bonds. Switch that to an international portfolio and it rises slightly to 3.26%. - 8.1% (EUR2,000) of that is for annual car depreciation. I already don't think I'll be able to spend anywhere near that for a small run around but if it all went a bit pear shaped I'd keep for longer or buy cheaper when I finally did have to replace. - 14.2% (EUR3,500) is for home repairs. Some of that would of course have to be spent for repairs like a new boiler however some of it wouldn't/could be deferred like a new bathroom. - 6.7% (EUR1,652) is for holidays. We're going to be living near some of the most coveted countryside/beaches in the world plus I believe a lot of holidays are escapism from work so it wouldn't be too much of a hardship to cut back here. - 21.0% (EUR5,200) is for 'fun'/clothes/misc/personal. In 2015 I spent £1,329 in this area in the UK and enjoyed myself outside of work. I've set myself a much higher allowance as I'll have a lot more time meaning I may end up spending more but again it wouldn't be too much of a hardship to cut back given a lot of the things I enjoy will be free. - If it still gets worse I could stop voluntary NI contributions. For the 2 of us that would put £1,466 into our hands every year. Only after all of that has been cut back are the necessities of life going to come into question so I'm backing myself to be ok. I'm also conscious that you are a long time dead. Given the above what would you do if you were in my position? I love foreign travel, so I plan to budget an extra £10k a year until 75 for visiting the world, then a quiet decade at home before I've budgeted £45k extra from 85 for nursing care, funded by selling the house. If things go poorly early on I can cut back on the travel to keep on target, if things go wrong at the end, I will be treasuring my memories in the squalid old people's home. If the Med move is a success then I can't really imagine us wanting to return to the UK as we lose mobility. Therefore very old age is likely going to be an issue for us. Like you I'd always considered the family home to be the care home funding. If one of us still has our marbles and is mobile then they're looking at a small apartment with some of the sale proceeds with the remainder funding care. I can't imagine this as being a concern as I'd thinking cleaning a 3/4 bedroom home plus tidying a garden would be the last thing I'd want to be doing in my 80's/90's (if I make it that far). If the free movement of people within the EU is lost as part of Brexit then if we end up in Spain/Malta we'll be ok healthcare wise because you can just pay into the state system. If it's Cyprus then we'll probably end up private. I have found a company (who so far have provided excellent customer service with my enquiries) who will insure people over 75 and advise there is no age limit beyond which they won't cover providing you're 70 or less when you insure with them. If you're over 70 there is a 15% co-insurance that you have to pay and if you're 75 or over you're looking at EUR2,670 per person for the top of the range plan they offer. For me it's a long way off so I'm not giving it a huge amount of planning other than knowing we'll need to be finding at least EUR3,000 extra for healthcare per annum as a lot can change between then and now. If I then have major health problems by then I'd guess my life is going to be pretty quiet so the co-insurance should also be doable. To be honest I don't think £1m is enough now. It's worrying you are already looking at which living costs to cut. I think that company profits will drop and dividends will be cut. Dividends also seem like low hanging fruit for governments, now inequality is being discussed more. So in time I'm expecting a tax on unearned income. It's easy for me to say because I don't suffer your job but I'd do another 1 or 2 years. Partially for a larger investment buffer but also to see if we really Brexit. I'd usually be nervous about having my income in a currency other than my living costs. Though Brexit could change everything. If we Brexit the EU could fall apart. Then a med country with a devalued currency would be a very attractive place to move. Then invest there as it starts to boom after the debt shackles and austerity are removed. The One More Year problem is bedevilled with worries that not only the markets won't perform, but the tax regime will go against you. I'd hoped to push the button on a Remain vote, but I'm still doing a job I hate, but do I really want to wait 5 years until the dust settles on glacial international trade negotiations. Do I wait for a Clinton victory, or IndyRef2, or whatever issue is another 6 months out. I expect dividend tax to rise to 20% in time (though the CGT fall to 10% surprised me) and pension tax relief to be slashed, so want my plan to be robust to that. But if you include means testing state pension, or wealth taxes, you could be looking at another 20% hike in the sum needed, which is Several More Years, and you can never escape. I think your extra 20% hike on the sum needed is about right. Though in RIT's case that wouldn't take 5 years, given his salary and saving rate it would probably take 2 years. Obviously you can only plan on rules now but 40 years is a long time to not expect some rules to change and go against you. That's what the 20% buffer is for. I think there is a huge difference between a single, married, married with children planning fire. Maybe a 5% buffer per person? Saving for FIRE largely means counting the pennies, it would be a shame if the same applied in FIRE, when with no job, a lot of your days then cost money instead of earning any. I suppose my thinking is partly because RIT has such a good job (income wise), so it seems a shame to give it up. Plus we are in particularly strange political and financial times. Though if your job is bad enough, even if your pot doesn't last, as long as the years are great years while you are young, they can never take those years back off you! It all depends on your risk profile? While I hate my job, its not onerous, its stressful because its so dull. I see a spending trajectory as flat through FIRE, what you don't spend on work travel and canteen lunches you get to use going to National Trust tea rooms. I think if you are frugal beforehand, you are unlikely to be spendthrift afterwards. At 43 RIT could always return to work. Only if his highly paid skills would atrophy drastically if out of the market is it worth working hard now rather than being a consultant later. Harder to do from the middle of the Med of course. "If we Brexit the EU could fall apart." Brexit or no, the EU will fall apart. after thinking you were a bit risk averse for years, i think i am now convinced that 4% is too high, I'm revising down to the next available integer and using that going forward with the old spread sheets..
"revising down to the next available integer" might be harder than you think. I'm still looking at a constant 1% real return and seeing I need to get a few more years in. Responding to your 10 July 18:02 comments. 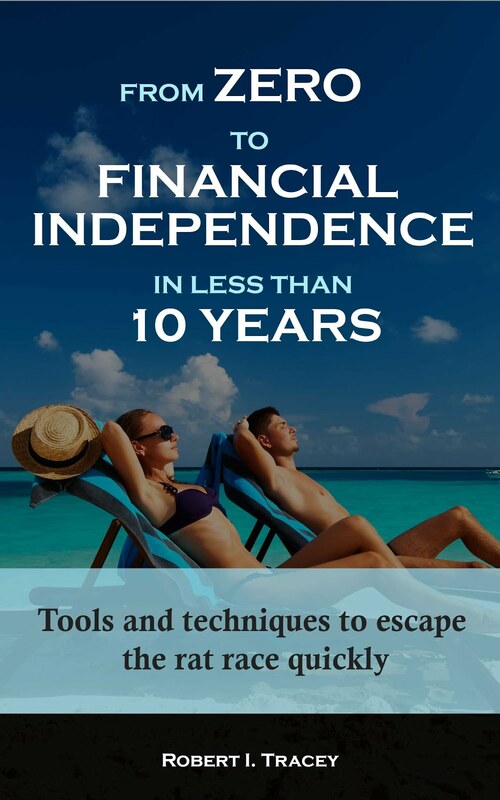 I agree that UK now offers various flexible methods to achieve tax free or income taxed at a low rate - in retirement. And you did not mention using up your CGT allowances annually - even if this means you end up ploughing the proceeds back into other tax free sources . Although costs may discourage investors from using up their annual CGT allowance - the benefit is that you can end up with a portfolio that you can readily liquidate without having to worry about incurring CGT charges . The current pension situation for those who have yet to draw there pension - has become so complicated . To invest so that you use up some other available tax free sources of capital and income seems entirely sensible . It is hard to stop having to pay some tax on pension(s) income unless the amounts you are drawing are relatively small. Plan to take as much tax free cash as you can when you draw your pension. You can then start worrying about health insurance , care home fees and IHT ! When RIT's posts tomorrow, it could be that he has reached his FIRE target and handed his notice in? He calls it the actuarial approach, which basically calculates the present value of your assets and liabilities and thus the annual withdrawal requirement. He's compared this approach to various systematic withdrawal strategies and reckons it does 'a better job of balancing the potentially conflicting goals of most retirees'. I think it certainy worth a look, and for me it seems a better way to go about things that a x%-type of rule of thumb. He provides a spreadsheet where you can fill in your own values and assumptions to see how things work out and has various articles where he discusses the details. The spreadsheet is very useful I have found and I'm pretty convinced by his arguments about the advantages of this actuarial approach to retirement budgetting. Hi RIT, how are assets spent from the portfolio? Is it 50:50 from bonds / stocks? And how is the portfolio balanced? Sorry if I've missed it. The stock heavy portfolios look like they're having a hard time recovering from stocks sold at bargain prices during the crash and stock markets moving sideways over the last couple of years. Flexible spending rules that draw down on bonds / cash buffer when the stock market is down and rebalancing into stocks would likely help a great deal. At the cost of raising the portfolio's risk profile. I'm not asking you to model this, just think it's worth bearing in mind. I expect a globally diversified portfolio would have done much better too given the performance of the US since 2009. It's a very mechanical model so isn't complicated. 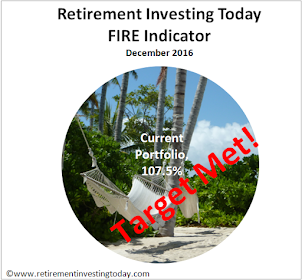 At the start of every year I take the wealth and extract the annual spending then rebalance back to the target allocation. So a straight annual rebalancing. As you say flexible spending rules, including from a cash buffer which I will have in real life and amount of spend, would certainly help. For demonstration purposes I'm not however getting into that. The Pfau research we've discussed in the past certainly shows for the UK that an international portfolio performs better from a SWR perspective than a 100% domestic one although only by 0.21%. In hindsight I could have also probably done better with the UK pick - maybe a blend of FTSE100 and FTSE250 would have been more appropriate. Interesting, I retired early November 2007, I assumed a 4% withdrawal rate and here I am in 2016 withdrawing about 2%, capital is up by over 100%. A cash buffer is essential to allow one to ignore market swings, which I assumed would be significant sooner or later, it was sooner! Portfolio originally heavy equity exposure, Equity Income and Global Investment Trusts plus HYP and directly held commercial property. My experience is that whilst doing FIRE calculations is interesting, it does not reflect the actuality, you can gently juggle a portfolio as you go along and new lower cost products appear that enable one to target your investment allocation more efficiently are now available. The market lows of 2008 and 2009 provided significant investment opportunities, retiring in my late 40's was always going to involve risk but the outlook now looks much better, my suggestion is to be optimistic and flexible. a) Equities over the long term give better yields that Bonds/Gilts. b) Index linked Gilts/Bonds give a poorer return than 'Standard' Gilts/Bonds. The investors in the model above that have either a higher % or Equities AND/OR a higher % of standard Gilts/Bonds against index linked ones should be doing better...yet appear to be doing worse? !...OR is it that Equities have been so poor during this period that you have lost money? As for some of the other comments above, this is what I find so difficult about FIRE planning (and would welcome comments)...To maximize my funds in the future I plan to minimize the amount of tax I pay YET do not know what the GOVT's plans are i.e. If I put money in S&S Isa's will they then decide to stop its tax relief?..Like wise for dividends?...and If I RE with a deferred pension by the time I retire at 67 (assuming that this doesnt change!) will the 25% Tax-free lump sum that I am trying to maximize/'sweet-spot' through additional contributions before I retire have disappeared completely? Hiya RIT- sorry for the Zombie post - I've been following your blog since I returned to the UK in 2009, though only now catching up after a break. I've been wondering about your analysis here... Are you in danger of projecting past returns into the future when determining your safe level of income to withdraw? Index-linked gilts have been one of the best asset classes over the last ten years because real yields have fallen so much. Or putting it another way, if you invest in medium-long dated index-linked gilts today you expect a real return of -1.5% annum.